Bankruptcy laws have changed, but most people don’t exactly know the changes. Let’s look at the changes in the bankruptcy law. I’m sure that after you review the changes, you will see that the changes aren’t that drastic, and most likely will have little or no effect on your situation. In fact, studies have shown that 85% of the people that filed Chapter 7 last year, would still be eligible to file Chapter 7 under this new law. 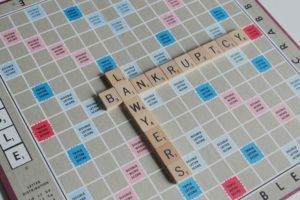 The new bankruptcy law limits who can file a Chapter 7 bankruptcy. The new bankruptcy law makes only a very few changes to Chapter 13 bankruptcy. (For a detailed explanation of Chapter 7 & 13 bankruptcy, see other sections of this web site). This test does not apply if the majority of your debts are business related debts. You add the income of spouse, if the spouse resides with you, even if that spouse doesn’t file bankruptcy. The income must be your regular income, and does not include Social Security benefits. If your income is below the threshold of annual income, you are eligible to file Chapter 7. If your income is above the threshold of annual income, you are still eligible to file Chapter 7, if your net monthly income is less than $100. Many of the deductions from your gross income are fixed by the Bankruptcy Court. If your net monthly income is above $100, you can file a Chapter 7 bankruptcy, but only if you can show “special circumstances” that justify filing the Chapter 7 bankruptcy. In a Chapter 13 bankruptcy, you can’t reduce the amount owed on a vehicle note, if you purchased it within 2 1⁄2 years. You can only file a Chapter 7 bankruptcy once every 8 years (it was 6 years). In Louisiana, because of the hurricanes, the requirement of credit counseling prior to filing bankruptcy has been suspended until October 2006. The new bankruptcy law requires a lot more paperwork, and requires you to produce your last pay stub, and your latest tax return. It requires bankruptcy attorneys to investigate the accuracy of the information and to ensure the information is correct. Court costs to file Chapter 7 have gone from $299.00 to $335.00. However, the Bankruptcy Court is allowing you to pay the court costs in monthly installments. As you can see, the changes in the bankruptcy law, are not as sweeping or as drastic, as people are reporting. Bill Collectors have already started misstating the changes, and telling consumers that bankruptcy has been abolished. Nothing could be further from the truth.